Natural History Museum: A stunning collection of kid-friendly exhibits, with dinosaurs and a huge blue whale among the favorites. The London Transport Museum and The Imperial War Museum: My kids loved these museums and they’re 2 of London’s best attractions for kids. Tower of London and Tower Bridge: History and sightseeing; torture chambers and a medieval castle. 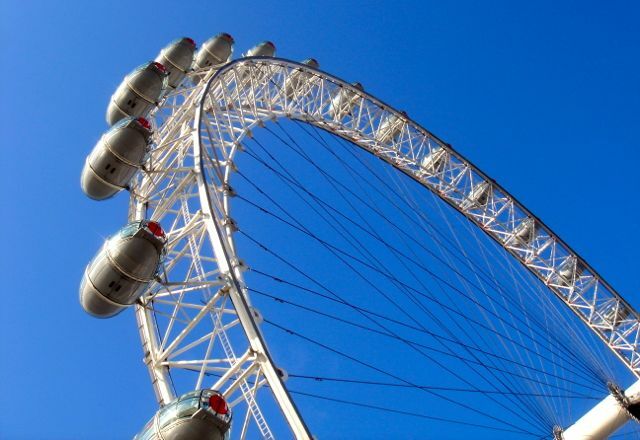 London Eye: Great views of the city from the world’s tallest observation wheel. Edinburgh Bus Tours: It’s a hilly city with lots of up and down (on cobblestoned streets that don’t lend themselves to strollers). This hop-on hop-off bus has 24 stops sprinkled around the city center. Edinburgh Castle: Just about everyone’s favorite attraction in Edinburgh. A must. Museum of Childhood: 4 floors of games, toys, and action figures. Lots of hands on fun for kids of all ages. Dynamic Earth: Fun, educational, and engaging. An interactive museum with films and presentations. National Museum of Scotland: Hands on fun for kids. Loads of Scottish history for the adults. Edinburgh Fringe Festival: If you’re in Edinburgh in August — and can find accommodation — be sure to take in the festival’s children’s theatre, puppetry, kids comedy, and dance and music workshops. If your visit is in May then the Imaginate Children’s Theatre Festival is a can’t miss event. And for April there’s the wonderful Edinburgh International Science Festival. Dublin Zoo: One of Europe’s best zoos. Easy access with the hop-on hop-off bus. Kilmainham Gaol Historical Museum: A great introduction to Ireland’s history. Located out of town but on the hop-on, hop-off bus route. The National Museum — Archeology: Features items pulled from the bogs (including mummified bodies) and a viking exhibit that are very popular with kids. The Natural History Museum (a.k.a. the Dead Zoo): An amazing collection of animals that kids love. Viking Splash: Tour Dublin and get a (small) spattering of history aboard an amphibious WW II vehicle. 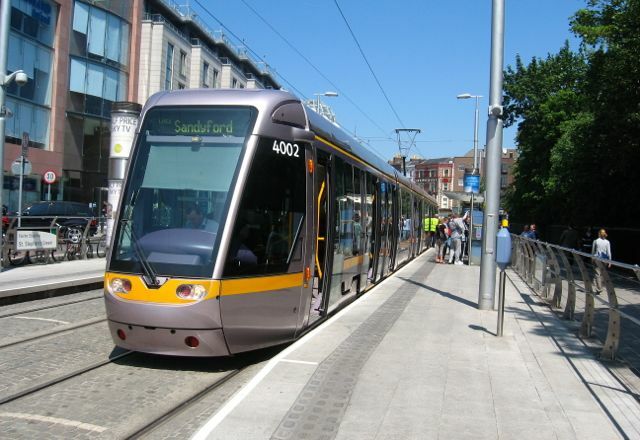 Take the DART train to Howth (north) or Bray (south): Get to the coast, go for a walk, play on the beach, and take a break from the city. The Eiffel Tower (of course): Great views are often dismissed by kids as boring, but not from the Tour Eiffel. The city looks small far below but never feels distant. If your kids are old enough walk the stairs instead of wait in line for the elevator. The Catacombs: Run this by your kids first — you’ll descend 20 metres below street level where you’ll be able to explore 1.7km of corridors walled with the remains of long dead Parisians. They’ll either be thrilled or terrified and you can make your plans from there. Musée de Louvre: It’s a huge intimidating museum that can make for a long visit for kids or an enthralling cultural journey depending on how you approach it. Read and discuss some of the paintings and sculptures before you arrive. Buy postcards of famous paintings and hunt for them during your visit. The Skip the Line Guided Tour is worth the expense. Musée d’Histoire Naturelle de Paris: France’s best science museum could fill a whole day. The highlight for kids is usually the Galerie de l’Evolution. Notre Dame Cathedral: Climb the 422 steps to the cathedral’s towers and you’ll be face to face with some fierce Gargoyles and an incredible view of Paris. Kids will recognize the scenes from The Hunchback of Notre Dame. Petřín Hill has a funicular that goes up to the top you’ll have great views, a mirror maze for kids, pony rides on the weekends, and a sizeable rose garden. For an even better view, climb up to the top of Lookout Tower or visit the observatory to take in the stars through their collection of telescopes. Nostalgic Tram No. 91 is a unique way to see the city. Vintage tram cars from the early 1900s travel along a special route that runs throughout Prague and past many of the city’s best sights. Not well known among tourists and for an affordable $1.50, it’s popular with both young and old. Theater and Puppet Shows – There are several kid friendly theater options unique to Prague including the Black Light Theater which combines elements of dance, animation, mimes and illusions. Puppet shows also have a strong tradition in the Czech Republic and the National Marionette Theater does puppet versions of Mozart’s Don Giovanni and the Magic Flute. Kid-Friendly Museums – At the Art Gallery for Children (Galerie umění pro děti) children are encouraged to interact in this multimedia space by touching, creating or even altering the art installations. Workshops are available for kids 5-12 and it’s a great way to introduce them to art. Or visit the Lego Museum – the largest in Europe. 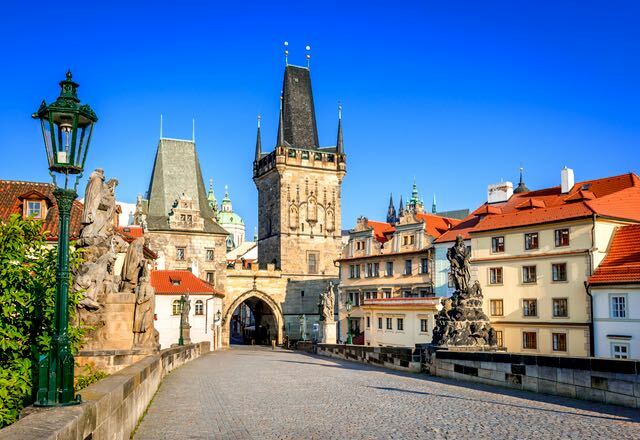 You’ll get to see lego versions of classic Prague landmarks like the 5 meter tall Charles Bridge. Children’s Island – Though there are numerous outdoor playgrounds around Prague, this one is devoted entirely to kids. It features a full range of swings, slides, climbing nets, sandpits, open space to run around. Most importantly it offers a great place for parents to sit and relax on the bank of the Vltava River with a nearby café for coffee and refreshments. Parc Güell: A fun and wacky collection of Gaudi’s creations. Kids will love the colors, crazy sculptures, and playful nature of the park. Ride one of the city’s 2 cable cars: one goes to the beach, the other up to an old castle. Both are great for adventurous kids. L’Aquarium Barcelona or the Barcelona Zoo are easy to get to and make a great morning or afternoon visit. The great city beaches and the city’s famous and colorful boulevard Las Ramblas are fun ways to enjoy some unstructured family free time. Colosseum and Roman Forum: the highlight of a trip to Rome (likely for the whole family). Visit early to avoid the heat and crowds. Villa Borghese Gardens: rent row boats and bikes, have a picnic, hop on the #3 tram for a tour of Rome, and visit the Cinema dei Piccoli for afternoon and evening children’s movies. This large park can easily form the basis of an entire day’s activities. Explora: Rome’s top notch kids’ museum has lots of hands-on fun, an outdoor play area, and an ice cream shop. Visits are limited to 90 minutes. Visiting the Vatican and the Vatican Museum probably won’t be at the top of your children’s to do list. If you decide to go anyway, a private tour will allow you to skip the long entrance lines and pick out the highlights of the museum’s extensive works.